Christopher Goodwin has managed my divorce proceedings with great clarity, expertise and care. I have nothing but the highest praise for Christopher and he has always represented me with my best interests at heart. 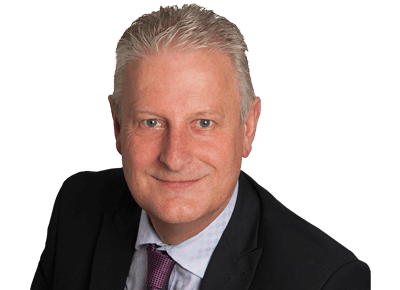 Chris is a partner in the family department and he has specialised in family law for over 30 years, having qualified in 1979. He deals with all types of relationship issues from pre-nuptial/cohabitation agreements in the beginning of a relationship to financial settlements at the end of a relationship. Chris focuses particularly on financial settlements following the breakdown of a relationship. Chris is also a trained mediator. Chris read history at Leicester University before qualifying as a solicitor in 1979. He spent a large part of his career at a firm in south east London where he was a partner. He has subsequently worked in other firms in south London before coming to Wimbledon six years ago. Chris is a season ticketholder at Watford Football Club, and as a proud Yorkshireman, follows the fortunes of the Yorkshire County Cricket Club in summer. He enjoys spending time with his young grandchildren. A pet, a pet! My pension for a pet! 90 seconds with Christopher Goodwin on… Unreasonable? Who? Me?